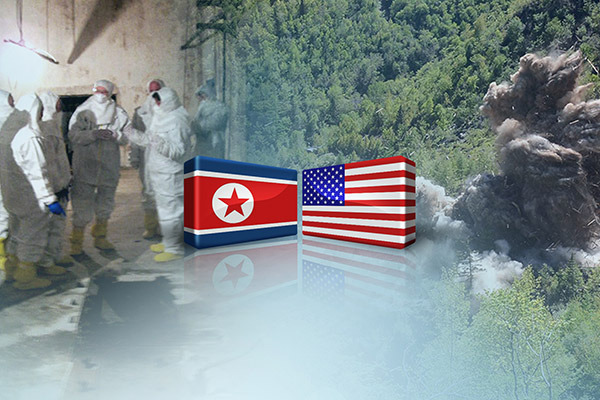 Diplomatic dialogue between North Korea and the United States seems to be gaining momentum. While the two countries are apparently preparing for a second summit between U.S. President Donald Trump and North Korean leader Kim Jong-un following Kim’s four-day visit to China last week, there were reports that a personal letter from Trump was delivered to Kim. Here’s Hong Hyun-ik at the Sejong Institute to analyze the favorable mood for a second North Korea-U.S. summit. At a Cabinet meeting at the White House early this year, Trump said that he had received a great letter from Kim Jong-un. Clearly, he was referring to Kim’s letter sent to him late last year. According to a recent report, Trump wrote back, and the letter was hand-delivered to Pyongyang. The report indicates that some U.S. official visited the North Korean capital recently to confirm Trump’s commitment to hold another summit with Kim in the near future. Citing these developments, analysts speculate that the North Korea-U.S. summit might be held in late February or early March. It seems that stalled nuclear talks between Pyongyang and Washington are ready to resume. Both sides hope to hold their second summit, and it is a positive sign that Kim and Trump are exchanging letters. 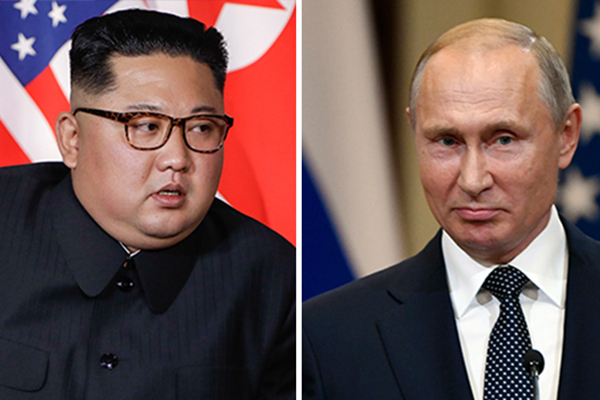 With the two leaders speeding up efforts to meet for a second time, working-level officials on both sides are moving fast. 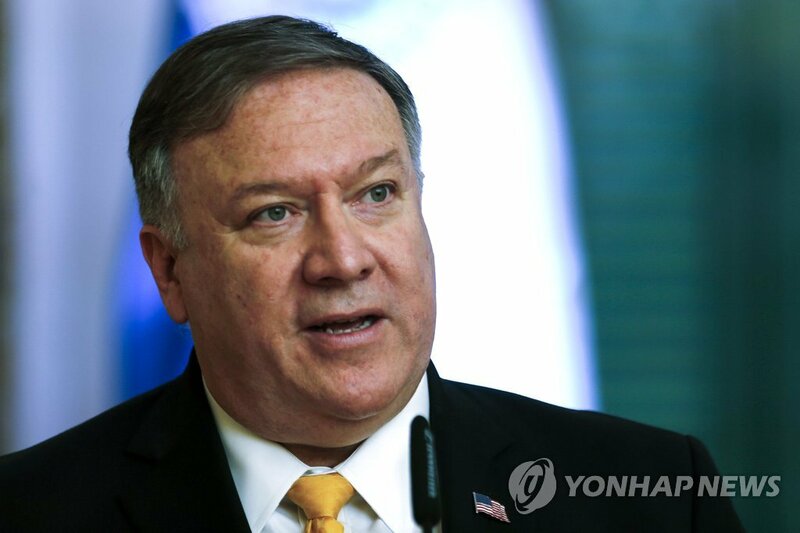 U.S. Secretary of State Mike Pompeo said on January 13 that Washington is working out a date for the summit with Pyongyang. Trump has repeatedly expressed willingness to hold another summit with Kim, saying that the location will be announced in the not too distant future. 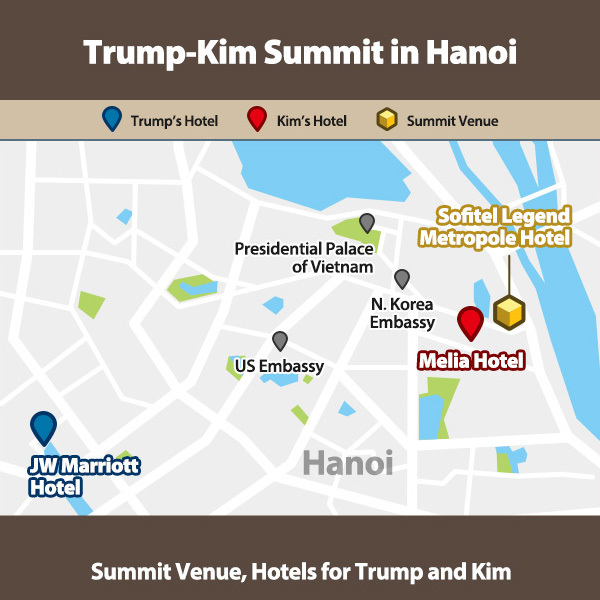 There are reports indicating that Vietnam is a likely candidate to host the summit. Other locations such as Bangkok, Hawaii, Indonesia and Mongolia have also been suggested. And Pompeo has recently said that details are being worked out for a possible summit. His remarks suggest that the location has almost been decided, and that the date will also be set once the North Korean leader agrees. Mike Pompeo’s comments notwithstanding, the U.S. State Department remains circumspect, saying that no dates have been set for any North Korea-U.S. talks. But Pompeo’s phrasing when discussing a possible second summit suggests the two sides have made considerable preparations for the date and location of the meeting. As if on cue, North Korea’s vice foreign minister Choe Son-hui appeared in Beijing on Tuesday, January 15. 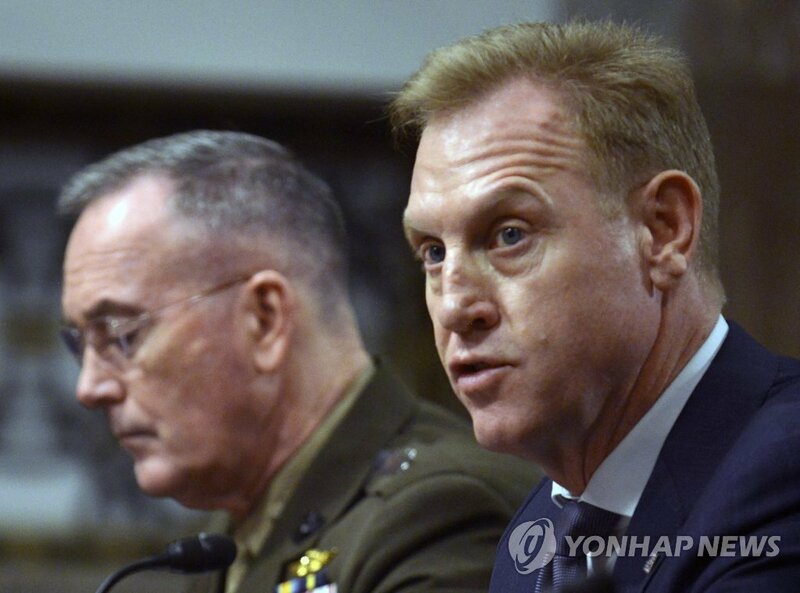 U.S. Special Representative for North Korea Stephen Biegun hasn’t met his North Korean counterpart Choe Son-hui since he was appointed last August. When questioned by reporters in Beijing, Choe said that she was on her way to Sweden for an international conference. She is expected to take part in a “Track 1.5” meeting, where parties from both the public and private sectors participate. I imagine that North Korea and the U.S. may hold separate meetings between Choe and Biegun and between Kim Yong-chol and Pompeo. 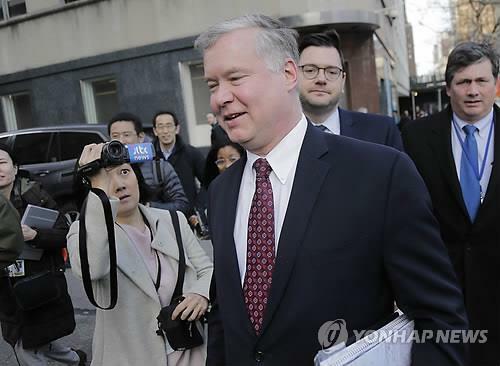 Choe’s trip abroad is generating speculation that the vice foreign minister may hold working-level contact with her U.S. counterpart, Stephen Biegun. If the two officials meet, North Korea-U.S. dialogue may proceed towards two-track—high-level talks and working-level negotiations. 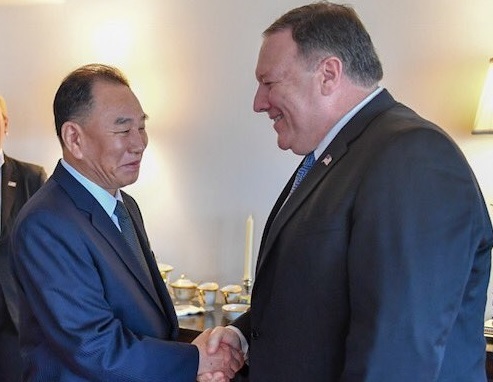 CNN reported that vice chairman of North Korea’s Worker’s Party Central Committee Kim Yong-chol would arrive in Washington on Thursday and meet Pompeo the following day, January 18. Pompeo had been on a Middle East tour and reportedly returned to Washington early to attend a funeral. 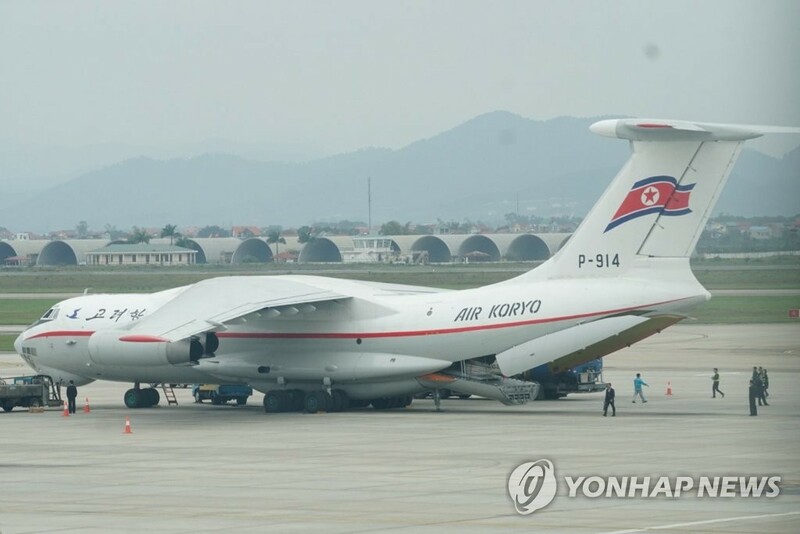 But he may have also returned to prepare for a meeting with Kim Yong-chol. After presiding over a conference of U.S. ambassadors overseas in Washington on January 16 and 17, Pompeo is expected to travel to Switzerland for the World Economic Forum in Davos. Trump will not attend the forum due to the US government shutdown. So, Kim Yong-chol may visit Washington between January 17 and 20 to have a meeting with Pompeo. High-level talks between North Korea and the U.S. were abruptly delayed last November due to reported “scheduling issues.” Some two months after the postponement, Kim and Pompeo may hold their meeting this week. The two officials played a key role in making the first-ever North Korea-U.S. summit happen in Singapore last year. If the high-level talks take place, Kim and Pompeo will likely coordinate details of a second summit. Meanwhile, a so-called “small deal” has entered the realm of possibility. On January 11, Pompeo said that the end objective of U.S.-North Korea negotiations was “the security of the American people.” Some analysts interpret these remarks as a shift in Washington’s policy towards Pyongyang regarding denuclearization. The U.S. seems to have realized that it is difficult to expect North Korea to completely dismantle its nuclear program immediately. 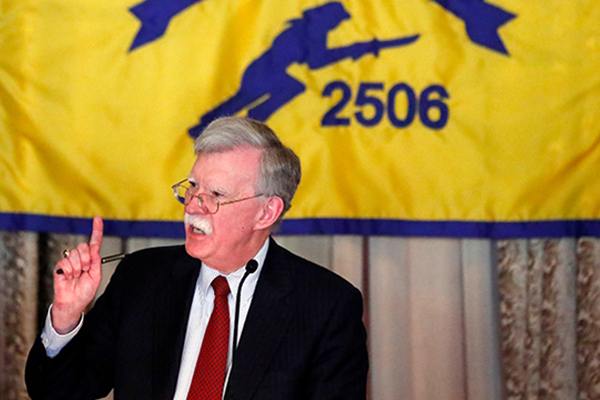 Therefore, the U.S. may be considering a staged denuclearization process. Judging from Pompeo’s remarks “the security of the American people,” we can surmise that the U.S. believes North Korea’s biggest threat, for now, is its long-range missiles. North Korea might completely dismantle the Yongbyon nuclear facility, as agreed upon at the Pyongyang inter-Korean summit between Kim Jong-un and South Korean President Moon Jae-in. If the North also opens up the Yongbyon facility to outside investigators, and gives up its long-range missiles, the U.S. may agree to table discussions of North Korea’s nuclear weapons until a later date. Moreover, if North Korea takes the first step towards denuclearization, the U.S. may take reciprocal measures like easing sanctions on the North. That means a slight retreat from Washington’s earlier position. The U.S. may take a step back from its long-standing demand for the complete denuclearization of North Korea. This would create the possibility of reaching a “small deal” by lifting some sanctions on the North in exchange for the removal of threats from North Korea’s intercontinental ballistic missiles capable of striking the U.S. mainland. High-level talks between the two countries, if held, are expected to outline what shape and form denuclearization negotiations take. Attention now turns to whether the high-level talks will take place and what decisions the two countries will make.